i reached a point in my life where it is all about simplifying. it just got all a bit too much. so it was high time for some changes. 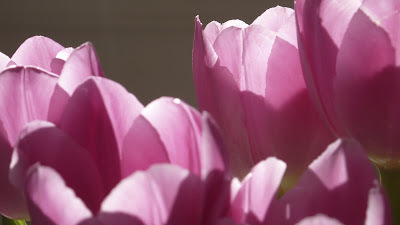 one thing what had to get easier was my blog. 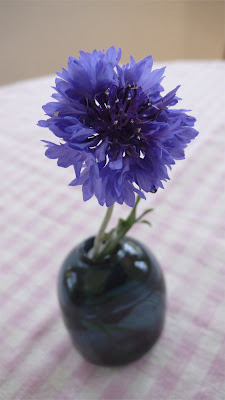 i realized that i felt guilty not blogging about my projects, thoughts, likes, inspirations and so on. and than i stumbled upon tumblr. a perfect tool for me. super easy to use, i treat it more like a scrapbook than a journal. i love it! i am so glad i found it, because the only other option for me would have been to stop my blogging for now. 2 knits in the same color family. 1 yarn from stash, 1 yarn bought. 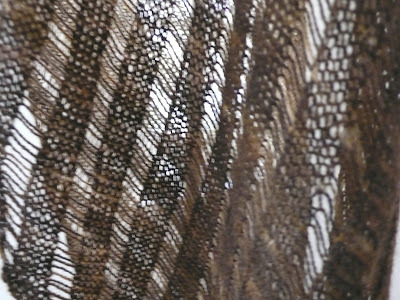 the top is designed by heidi kirrmaier. the pattern is buttercup and available for free download on ravelry. 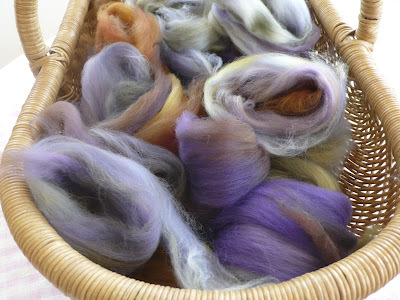 it is knit in the round from the top down. 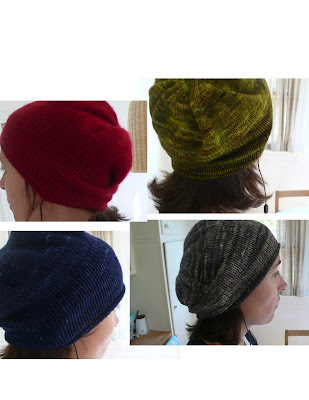 if you are on ravelry, go and check out heidi's designs. they are all fantastic. i have 3 more in my queue. 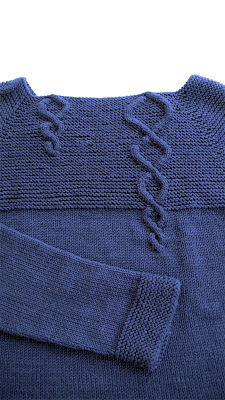 my winter sweater is designed by suvi s. the pattern is: baby cables and big ones too. this pattern is also available on ravelry. 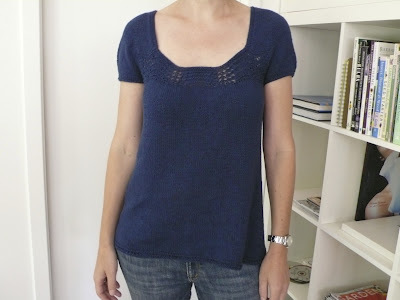 and as my summer top, it is knit in the round from the top down. i left out the cables on the arm to keep it simple. i like the sweater, the only change i would make is to knit it in a different yarn, maybe a merino alpaca mix to get a more heathery garment. 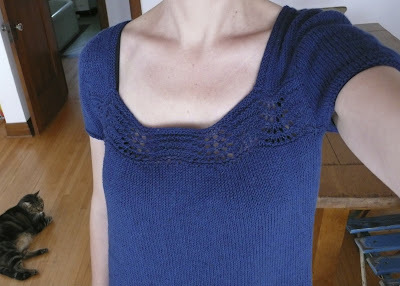 pattern: baby cables and big ones too by suvi s.
you see miya and i had a deal. she will get a "big girl" bed and i will make her a blanket for it. i thought it might help her to except a new bed. and it worked brilliantly, she calls it her "lucky blanket". 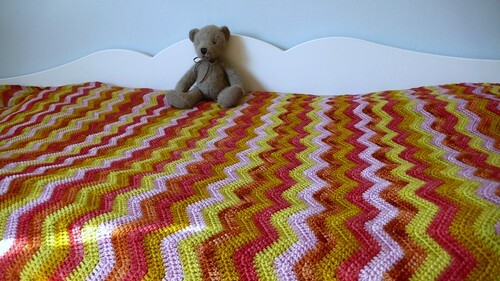 it took me almost a full year to finish it, just in time - lucky blanket indeed! 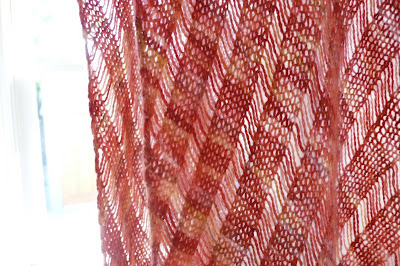 yarn is jitterbug from colinette, measurements are 45" by 65" (114cm by 165cm). 1 for me, knit with merino silk yarn from pigeonroof studios. my life is going lately a bit topsy turfy. so what to do on the knitting front? the answer was knitting hats. small enough and easy enough to knit whenever i had a moment. the pattern is felicity by wanett clyde. 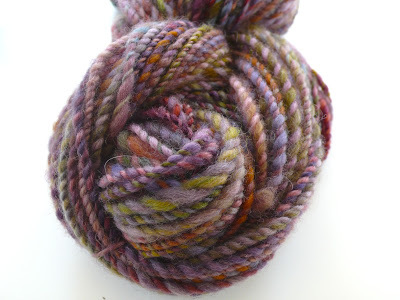 the yarn #1 is from plumknit, #2 and 4 are from hedgehog fibres and #3 from the plucky knitter.